NHS Bradford district and Craven CCGs have agreed to adopt NHS England’s guidance on reducing prescribing of over the counter medicines. 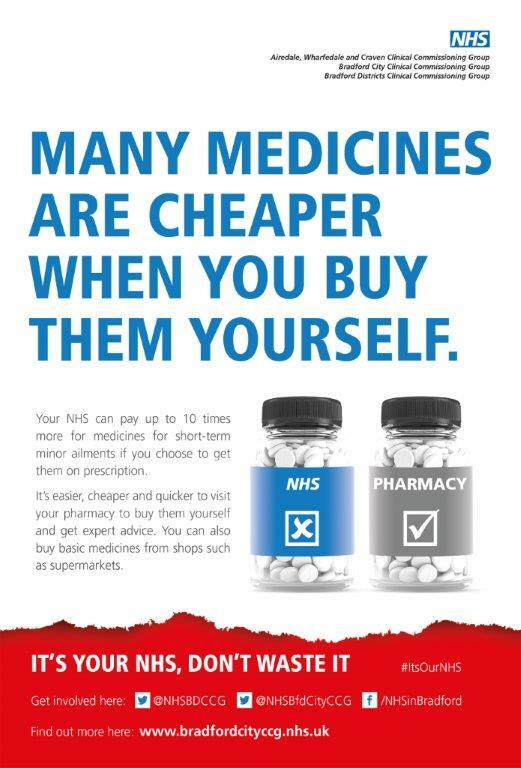 This means that if you have a minor condition that can be easily treated with medicines that are available to buy, your GP may ask you to buy the medicine rather than issue a prescription. There are 35 minor, short-term health conditions, for further information click here. 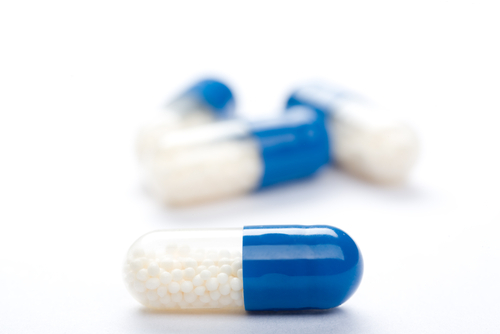 Via the Internet – You can order your repeat prescription directly through this site. You need to be registered to use this service. Please ask at reception. Problems ordering prescriptions from SystmOnline? because your doctor needs to re-approve your medication. In Person – Please return your computer print-out and indicate which medications you would like by ticking the items you require. Horton Park Surgery – Place prescription slip in the box in reception. New Hey Road – Hand your slip in at reception. By post – You can send your repeat prescription slip in by post. If you do not have your original slip then please note down your name, date of birth, medication and dosage required. If you supply a stamped, addressed envelope we will post your prescription back to you. We do not accept prescription requests on the telephone for safety reasons. Please allow 48 hours before collecting repeat prescriptions. Sometimes, you may be asked to make an appointment to see the doctor before your next appointment. This is to check the progress of your medical condition and treatment.